Real leaves electroplated with copper. These leaves are truly unique. No two are the same. 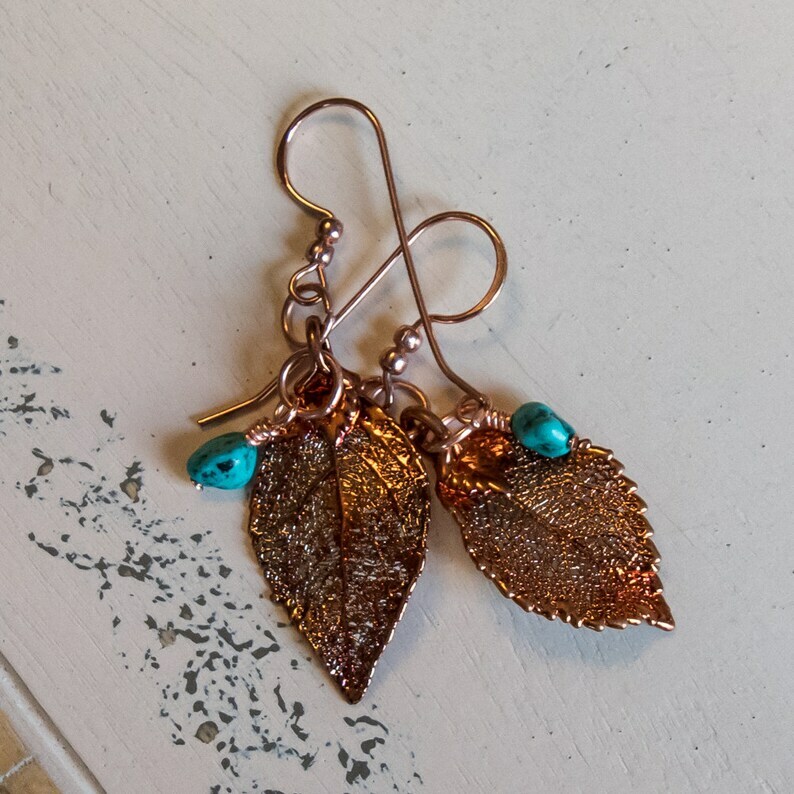 Embellished with turquoise nuggets that really stand out against the copper leaves. •	Handmade using the finest materials. I love them and I am sure you will too!